The service also excels in bypassing firewalls and evading censorship and as such allows you to access popular emailing, social networking, video and VOIP sites like Facebook, Skype, Gmail, Twitter, Viber, YouTube and Google Talk from behind school or workplaces firewalls as well as censorship prone locations like China, Middle East and Latin America. 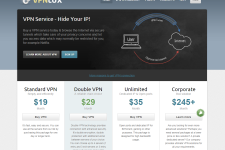 VPN Speed & Bandwidth – 143VPN is a DDoS protected service so subscribers can experience best uptimes and speeds. Also, since there are no bandwidth restrictions, you can download unlimited amount of content, stream movies and TV shows in HD quality, use VOIP services as well as play multiplayer games without experiencing any account blocks, throttling or slowdowns. The provider even allows P2P sessions but torrenting of copyrighted material is strictly prohibited. Privacy Settings – 143VPN uses OpenVPN to ensure the security and privacy of its subscribers. As you might be aware, OpenVPN is currently the best protocol available as far as security and compatibility with different systems is considered. The service protects you from all sorts of surveillance and hacking attacks and even secures your browsing sessions and personal data while you are using Wi-Fi services offered by coffee shops, hotels, shopping mall and airports. 143VPN is a zero log service. The provider doesn’t share personal data of subscribers with third parties nor does it monitor or record their VPN sessions. Supported Operating Systems – 143VPN works on Windows XP/Vista/7/8, iPhones, Mac OS X, iPod Touch, iPads, Linux, Google Chrome OS, Xbox as well as Android. There is a beta client available for Windows OS but other devices and operating systems require a manual configuration. 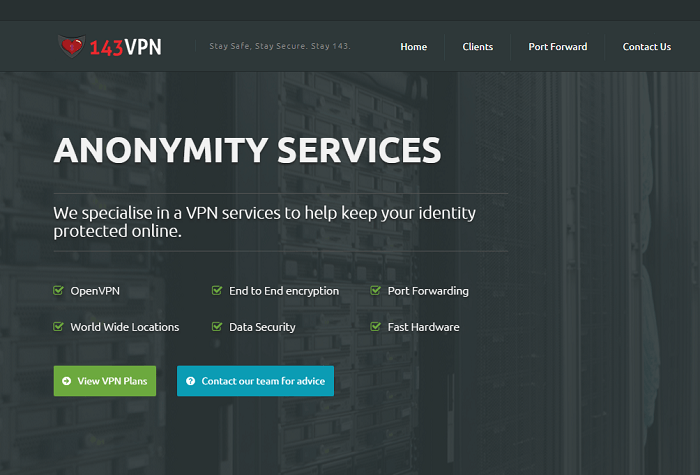 The service includes port forwarding and DDoS protection by default and can be configured on mobile devices via the OpenVPN Connect app. Customer Support – 143VPN offers customer support via support tickets. Additionally, the company has published lots of troubleshooting information in the Knowledgebase section of its website. You can also check out the twitter feed of the company to learn more about service disruptions as well as special offers. 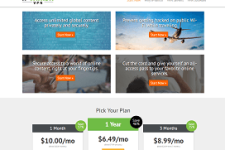 Pricing Options – 143VPN costs $4.99 for a month, $14.99 per quarter, $24.99 for 6 months and $39.99 for 1 year. The company even offers a lifetime subscription option for just $49.99. There is also a free trial available although the company doesn’t offer refunds in most cases. 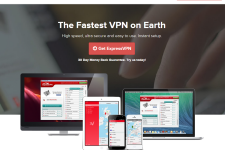 Final Verdict – Overall, 143VPN offers a good enough VPN service. The service is backed by an experienced company and comes with DDoS protection to prevent downtimes and service outages. To learn more about the service, please visit: www.143vpn.com.